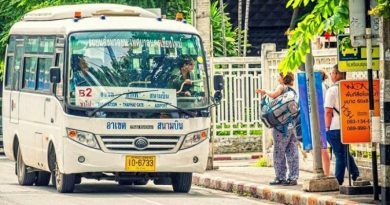 WITH the temperature having dipped to a pleasantly cool level tourists are heading to the hills of Nakhon Ratchasima, also known as Korat, and Phitsanulok’s Phu Hin Rong Kla National Park, Thai News Agency said today (Nov. 6). 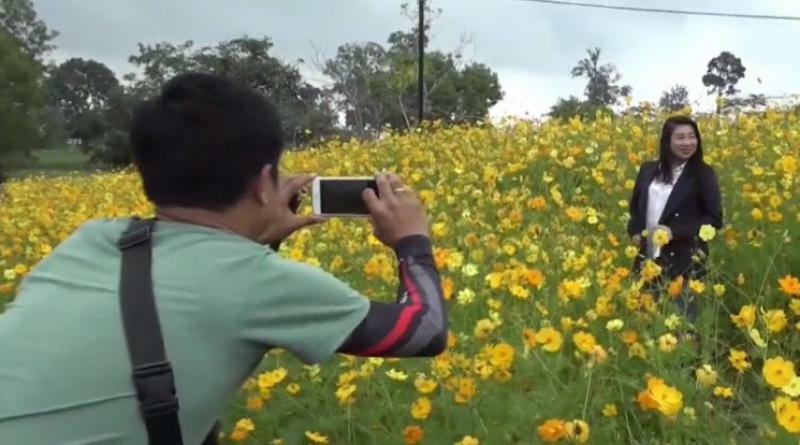 The day-long cool weather has drawn tourists to Nakhon Ratchasima’s Wang Nam Khiew district where there is a blooming field of coreopsis of around 2 rai in front of the Wang Mee sub-district administration office. 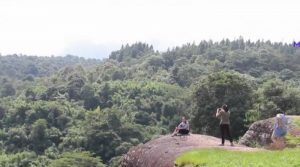 Likewise at the Royal Forest Development Project in Phitsanulok’s Phu Hin Rong Kla National Park, which covers 307 square kilometers, the temperature is currently around 11 to 12 degrees Celsius and this has led tourists are flocking in to both enjoy the weather and the stunning scenery at Pha Phob Rak, Pha Khu Rak and Pha Rak Yuen Yong cliffs as well as fields of multi-colored flowers.